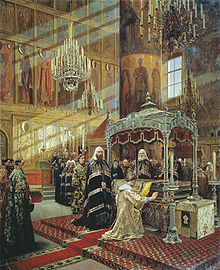 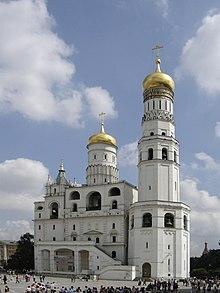 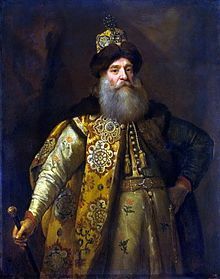 The Tsardom of Russia (Russian: Русское царство, Russkoje tsarstvo later changed to Российское царство, Rossiyskoye tsarstvo), Polish-Lithuanian Commonwealth called it Tsardom of Muscovy, was the centralized Russian state from the assumption of the title of Tsar by Ivan IV in 1547 until the foundation of the Russian Empire by Peter the Great in 1721. 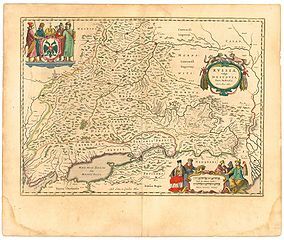 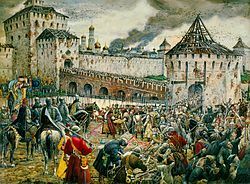 Little Russia, sometimes Little Rus', is a geographical and historical term first used by Galician ruler Bolesław-Jerzy II, who in 1335 signed his decrees as Dux totius Russiæ minoris. 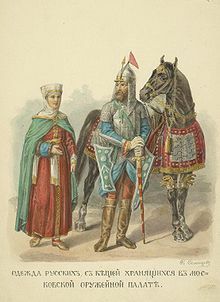 Sloboda Ukraine or Slobozhanshchyna is a historical region, now located in Northeastern Ukraine and Southwestern Russia. 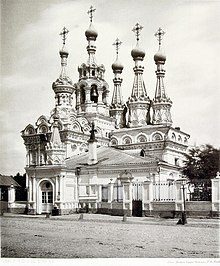 It developed and flourished in the 17th and 18th centuries on the southwestern frontier of the Tsardom of Russia. 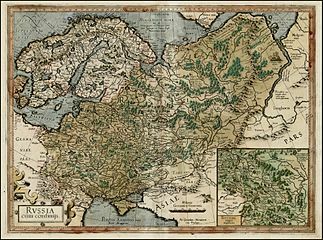 In 1765 it was converted into the Sloboda Ukraine Governorate. 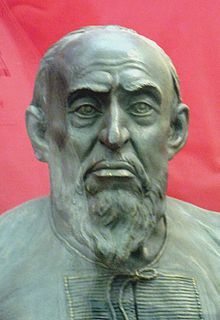 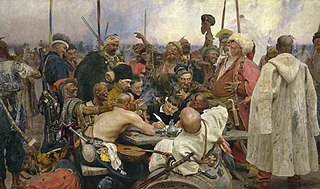 Ivan Sirko was a Ukrainian Cossack military leader, Koshovyi Otaman of the Zaporozhian Host and putative co-author of the famous semi-legendary Reply of the Zaporozhian Cossacks that inspired a major painting by the 19th-century artist Ilya Repin. 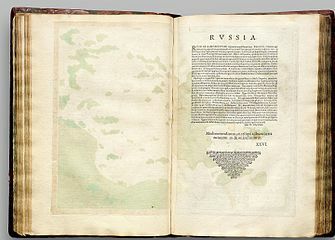 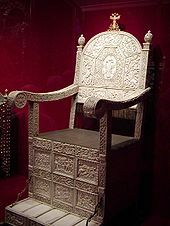 Sudebnik of Tsar Ivan IV was an expansion and revision of the Sudebnik of 1497, a code of laws instituted by Ivan the Great, his grandfather. 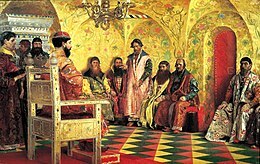 It is considered the result of the first Russian parliament of feudal Estates. 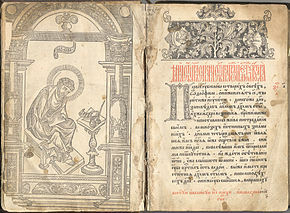 Vladimir Petrukhin is a Russian historian, archaeologist and ethnographer, Doctor of Historical Sciences, professor of History and Archives Institute of the Russian State University for the Humanities, chief research fellow of the Medieval Section of the Institute of Slavic Studies of the Russian Academy of Sciences.